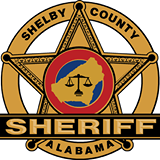 The Shelby County Sheriffs Office has asked Eagle Point Residents for HELP!!! From Sunday, December 9th thru Monday, December 10th between the hours of 8 pm & 6 am, unknown person(s) broke into a storage unit located at the construction site of the NEW SENIOR LIVING Facility off Farley Lane. If you saw any suspicious activity during these times, please help the Shelby County Sheriffs Office and CONTACT Inv. Mitchell at 205-670-6045.